A person in a wheelchair and the person who pushes them will both be admitted Free. 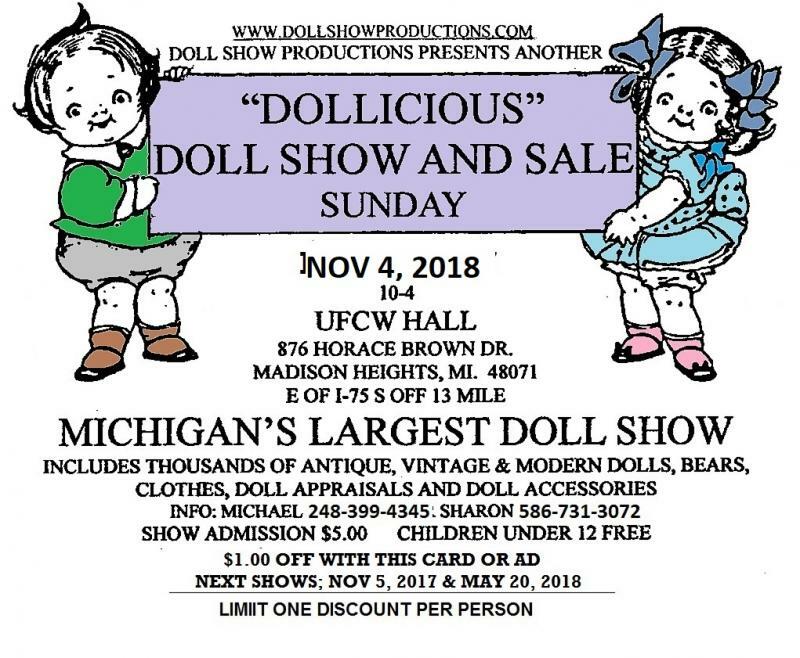 Michael and Sharon are available during the doll show to appraise your dolls. The general charge is $3.00 per doll with a limit of three dolls per person. Written appraisals are $5.00. The doll show is a family affair and a labor of love. Michael and Sharon involve their families in the show process. Michael's sister, Lorrie and his cousin Elaine and her son and grandson, Joshua, Sharon's husband Jan and their sons Kent and Kevin and daughter Michelle help run the show so everything runs smoothly and efficiently. We appreciate their efforts on the show's behalf.